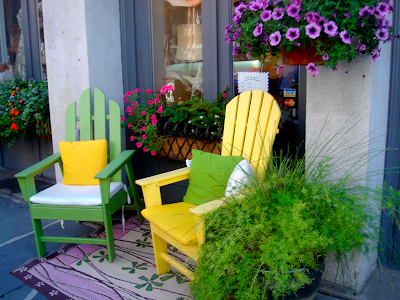 1 Response to "COLORFUL SEATING"
Hi there- I just came across your blog through Abbey Goes Design Scouting and I have to say I love it. I live in a small space too, so unfortunately so many design and decor ideas don't really work in my place. Love having a blog dedicated to teeny places like mine. And this picture makes me wish I had a little outdoor space as well. :) One of these days, right?